📌Can you tell us a little bit about yourself? Sure. I’ll start by saying yes, Misty Mount is my real name. Most people think it’s a pen name or have a laugh about it. 🙂 I’m a wife and mother to a kindergartener and I also have partial guardianship of my sister who has special needs. 📌Can you tell us about your new book, The Shadow Girl? 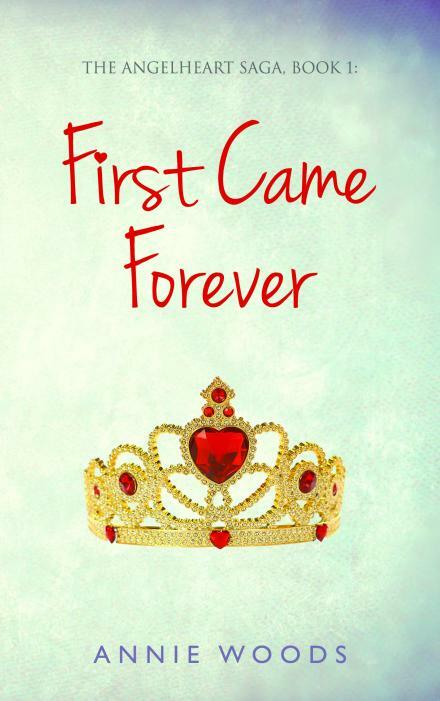 In short, I’d say it’s a coming-of-age novel focused on a lonely girl who suffers from anxiety and depression. She feels so inconsequential to the world around her that she begins to feel herself physically disappearing. 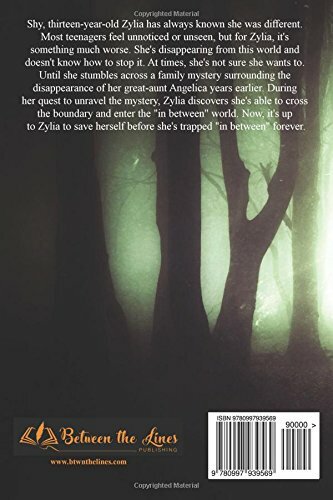 I’d say it’s realistic fiction for the most part, with a large mystery at its core and some fantasy elements blended in. 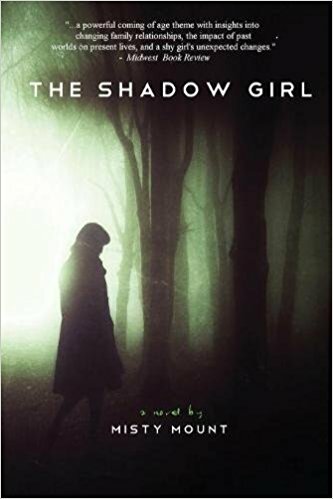 📌Are any of the characters in The Shadow Girl inspired or based off a real life person/persons? Yes, definitely. There’s a part of me in each character, but I’m the most like Zylia. Either one of us could be the poster child for social anxiety disorders. Other than her, I didn’t really base any characters specifically on one person; however, I dropped in pieces of my family and friends into the action and dialogue in an effort to make it realistic (and for an inside joke here and there). 📌What are your hobbies and interests? I’m basically boring. I love to read and write and occasionally draw. I’m into everything geeky, my favorites being Star Trek, Doctor Who, and almost anything superhero related. 📌Do you have a day job or do you write full time? I would love to have more time to write, but I suppose I’ll have to retire first. In the meantime, I work as a personal care assistant for young adults with special needs. 📌When did you first start writing and when did you finish your first book? I’ve been writing stories and books since I was five. My mom kept some of my handwritten manuscripts that were stapled or taped together to make “books.” My first actual published book wasn’t until I was fourteen. 📌How did you choose the genre that you write in? Where do you get your ideas? I’ve always been captivated with mystery stories, and I guess it’s for that reason that all my own books have ended up focusing around a mystery in one way or another. I usually take something I know inside out (like struggling with anxiety, for example), then slap a mystery around it to make an interesting story. 📌Do you work with an outline, or just write? I always start with an outline where I work out at least a few chapters in advance. Then, I usually get too eager to bring those chapters to life before finishing my outline completely, so I end up going back and forth from the outline to the draft. 📌Is there any particular author or book that influenced you in any way either growing up or as an adult? There are so many books, actually, so I’ve decided to pick one of many to share. I read Harriet the Spy when I was around 10 or 11, and it infected my life to the point that I wanted be Harriet. I started eating tomato sandwiches every day, just like she did in the story. Even though I secretly found them mushy and disgusting, I never once betrayed my love for Harriet by saying so out loud. (Until now. Sorry Harriet.) I also began carrying around a notebook just like her to write about anything and everyone I saw. This lasted for years. Around 14 or 15 years old I finally started to be embarrassed by surreptitiously jotting things in the corner of a room while everyone else wondered what in the world I was doing. 📌What inspired you to become an author? In kindergarten, my teacher read a story to the class and I was hanging on the edge of my carpet square until the very ridiculous and anticlimactic ending. I was so disappointed by the way the story finished that I couldn’t relax until I had rewritten it at home using my best crayons. I’ve been writing ever since. 📌Can you tell us about your challenges that you have faced with becoming a published author? I think one of the biggest challenges was opening up my writing for others to see. That was really difficult for me, letting potentially critical eyes rove over what had always before been my private words. Then there were the publishing house rejections that all authors face. Those definitely stung and made me feel like giving up at certain points. 📌What do you enjoy most about writing? I love escaping into a world that I’ve created and that I can control. I find it incredibly relaxing and fun. 📌If you had to go back and do it all over, is there any aspect of your novel or getting it published that you would change? I need a time machine to go back to age fourteen. That’s when I had my first novel published and had a wonderful opportunity placed in front of me. But I was too young to take advantage of what I had. I was incredibly introverted and overly sensitive to criticism, which led me to shrink away from my good fortune and hide in the shadows for two decades. 📌Have you written a book you love that you have not been able to get published? Following a family tragedy, eighteen-year-old Gabe LoScuda suddenly finds himself thrust into the role of caregiver for his ailing grandfather. Between the shopping trips and the doctor visits with Grandpa, Gabe and his friend John try to salvage their senior year, meet girls, and make the varsity baseball team. It doesn’t take long for Gabe to realize that going to school and looking after a grandfather with Alzheimer’s is more work than he ever imagined. And when long-lost Uncle Nick appears on the scene, Gabe soon finds that living with Nick and Grandpa is like babysitting two grown men. Aside from John, the only person who truly understands Gabe is Sofia, a punk-rocking rebel he meets at the veteran’s hospital.When these three unlikely friends are faced with a serious dilemma, will they do what it takes to save Grandpa? If there’s a chance of preserving the final shreds of Grandpa’s dignity, Gabe may have to make the most gut-wrenching decision of his life—and there’s no way out. Available February 20 Pre-order Today! No Sad Songs is the story of Gabe LoScuda, a high school senior who loses his parents and is forced to take on the role of caregiver for his ailing grandfather, an Alzheimer’s patient. The story is definitely close to my heart because I wrote it as a way to exorcise the demons of watching my own father take care of my grandfather when I was a teen. To this day, I wrestle with the question: did I do enough to help my father? It’s the exact kind of conflict Gabe battles throughout the book, as we watch him struggle to be a student, a caretaker, an adult and a kid all at the same time. No Sad Songs a story about our innate sense of duty that, as humans, we often allow to override the very essence of our lives…even when it becomes clear that our help is no longer making a dent. It’s a feeling that Alzheimer’s caretakers deal with everyday. And there are over 15 million of them–family members of the afflicted–right now in this country as I write this line. I’m a naturally active person and writing is one of the most sedentary professions on the planet, so I try to spend my off time doing things that involve exercise. Writing is also a solitary act and it makes me miss being part of a team. My solution has been to never stop playing the sports I love. On teams. With old guys. My knees and my back are not fans of this strategy, but if I lather up with enough Tiger Balm I’m good for a few games of ice hockey a week at the local rink. Believe me, all the bumps and bruises are worth it when you find something that prevents you from ever forgetting what it feels like to be a kid. I’m a teacher by day and a writer in the early morning and late at night. Like the vast majority of writers, I find the balancing act of work life and writing life to be a constant struggle. There’s not much time for sleep. That said, I’ve been teaching for fifteen years and I wouldn’t trade a day of it for anything in the world. 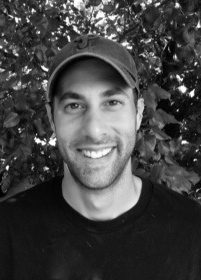 Teaching and coaching middle and high school aged students is part of what I was put on this planet to do, and my experiences in the classroom are exactly what allowed me to see how my writing style and my mindset are best suited for communicating with a young adult audience. On top of all that, I learn from my students on a daily basis. They see through the nonsense adults often get mired in. They understand truth, justice, and balance. I firmly believe today’s brand of teenager is what has made the young adult book market so influential in recent years. They are discerning and smart, and I feel honored when I can use my experience to help them avoid the obstacles that may lie in their paths. I didn’t really know it at the time, but I probably started writing when I was about seven or eight years old. That’s when I became annoyed at the limitations of the original Nintendo Game System and decided it was my duty to rewrite the book on just about every video game ever invented. As far as I know, none of my game ideas ever made it to prime time, most likely because I squirreled them away and never showed them to anyone besides my younger brother. I also wrote some really terrible poetry in high school. But it wasn’t until college that I started treating writing more like a career choice. I got into journalism and wrote sports stories for various local newspapers, and then I moved to New York City to chase a job in publishing. But sitting in a cubicle wasn’t my idea of the writing life, so I became a NYC Public School teacher and began spending my summers writing for about ten hours a day. For fifteen years! I spent most of my time writing short stories, flash fiction and essays. I finally took the plunge into writing novels about five years ago. No Sad Songs took about two years start to finish. How did you choose the genre you write in? Where do you get your ideas? I wouldn’t say I chose the genre I write in. It definitely chose me. I spent a long time spinning my wheels and writing across many different genres, until it finally dawned on me: why don’t I take what I do in the classroom and translate it into what I do on the page? 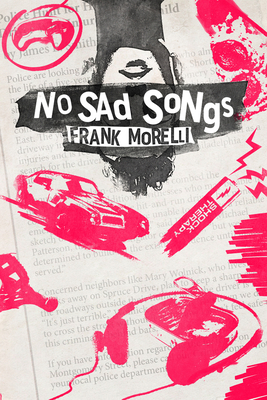 The first chapter of No Sad Songs is literally the first piece of young adult fiction I’ve ever written. It’s not a long chapter. Only a few pages. But as soon as I wrote the last word of the first draft of that very first chapter, I just knew. Falling into my niche and finding that focus has made all the difference. As far as where I get my ideas, I think most writers would agree that you need to write what you know. That doesn’t necessarily mean you have to write an autobiography. It just means your personal experiences need to bleed out on the page and dictate the directions you plan to take your characters. It’s the only way to create reality within a fantasy. Not anymore, but that’s only because I stopped believing in the concept of writer’s block. When you get to the point where you have deadlines to meet, whether self-imposed or thrust upon you by an editor, there’s really no time for writer’s block. You can’t sit around sipping drinks and waiting for inspiration if you ever want to finish something as complicated as a novel. You have to sit down in the chair everyday and write, even when it feels like all you’re doing is splattering gibberish on the page. Some of my best writing has come in these moments, and it makes you realize writer’s block only happens when you’re fighting against yourself. When this happens in a baseball game, a coach would tell his hitter, “You’re gripping the bat too hard.” When it happens to a writer, the writer has become the hitter and the coach. When I first started writing short stories I was so against the idea of planning a story ahead of time. It was like a cardinal sin to me. It was also an example of short-sighting thinking. You might be able to write something short without a road map, but if you’re trying to write a novel you better know your final destination and every point in between. My pre-planning process has become increasingly more complicated over the years. I probably spend about two months creating and refining my characters, charting plot points, building believable settings, and doing miscellaneous research before I ever write the first word in chapter one. I create a master outline for the novel ahead of time and then break that down into smaller outlines for each individual chapter as I get to them. With that said, I try to keep my outlines basic so I’m not overly locked into anything and I still have freedom to create on the page. It seems to work for me, but I’m continually trying to refine my process and make it work better. Is there any particular author or book that influenced you in any way either growing up or as an adult? What inspired you to become an author? J.D. Salinger’s A Catcher in the Rye and Harper Lee’s To Kill a Mockingbird are the books that made me fall in love with reading when I was growing up. I didn’t know why at the time, but I’m now sure it’s because of the unique and authentic narrative voices created by both authors. I love voice. If I can hear a narrator’s voice in my head long after putting the book down, I’m basically in love. I think the voices of Holden Caulfield and Scout Finch play on a loop in the heads of many young adult authors. Certainly mine. The desire to be able to create a voice like one of these was definitely one of the things that inspired me to become an author, but there are so many others. I guess they all boil down to one thing: I love the idea of creating worlds that presumably go on without us between the covers of a book. Getting a book published is not easy. The competition is insane and the chances for rejection are plentiful. I lost count of how many times I’ve been rejected by agents, publishers, or editors. If you want to write, you have to learn to live with rejection. But it never gets easier to accept a rejection. To me, that’s the hardest part of getting anything published, whether it be a piece of flash fiction, an essay, or a two-thousand page novel. If you’re able to continue believing in your work and push on to the next submission, you’ll find the right person who will champion your book. Jon Wilson at Fish Out of Water Books was that person for me and I’m so thankful we found each other. I wouldn’t change a thing about the book. No Sad Songs, as it stands, is exactly what I set out to write and I believe in it. I’m proud of what I created. The only thing I’d change is that I’d go into the process with a better awareness of the business side of things. Making blurb requests and seeking out press opportunities and finding reviews…these are not easy things to do. They consume time and they stop you from creating new work. But they’re essential if you ever want readers out there to know your book exists. Anticipating these steps on my next go around will definitely help me to find a better balance and build more buzz before the release date. Social media is a major tool, but I also try to keep my name visible in as many venues as possible. I continue to write short stories for publications like The Saturday Evening Post and I contribute a monthly column to Change Seven Magazine. Fish Out of Water Books also helps me to secure reviews and press in newspapers, blogs and other publications. I also have a bunch of public appearances coming up over the next few months. There’s really no better way to connect with your audience than by reading your work to them in a live setting. You can find a listing of my upcoming events here. I think young adult literature thrives on the examination of current social issues. Whether a story is set in a present-day high school or in some far-away galaxy, I think a novel written for young adults must still focus on the issues that affect our youth in the current time. That’s one of the reasons why I felt it was important to write No Sad Songs, because Alzheimer’s isn’t just a disease that affects the old. It affects all of us. A few years ago I abandoned a horror novel that took place in a real ghost town in Pennsylvania. The town of Centralia was a coal mining boom town that was officially evacuated back in the late 1980s after a mine fire had been raging under it for almost thirty years. The place is still on fire as we speak. I went to college not too far from the town and it fascinated me, so I tried to build a story around it, but I could never pull the threads together enough to gain any interest. It’s definitely a story that haunts me a little. I have a feeling I haven’t seen the last of it. What is your favorite book? I know this is always a difficult question! This is an easy one for me. It’s Harper Lee’s To Kill a Mockingbird. Hands down. Atticus Finch is possibly my favorite character in all of literature. 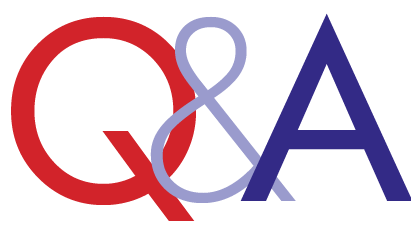 Thanks for checking out my interview with Frank Morelli! Please leave your thoughts and comments!😍 Love ya guys!